Collaborative work with my crew mate Havok on the lettering. More of this MKX series comming! Hell yes! Loving the MKX fan-art. This is top notch! RE: Fan Submission: Swarm Queen DVorah. Glad to see you back on doing MK fanart. ^^ <br/>Looks really cool, as always. Looks really cool, as always. Awesome D'vora art JAX007! 5/5. Are you going to do another drawing series like your 2010 series one? More of this MKX series comming! Thank you guys. 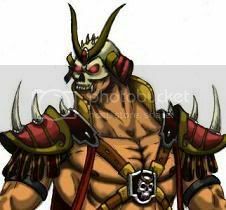 <br/> <br/><div class="forumQuote"><b>EmperorKahn Wrote:</b><br/>Awesome D'vora art JAX007! 5/5. Are you going to do another drawing series like your 2010 series one?</div> <br/> <br/>You know I have new ideas that I'd love to put down on paper, so maybe! You know I have new ideas that I'd love to put down on paper, so maybe! Such fine details on this, awesome fanart 5/5! Love how hard and shiny her exoskeleton looks. It's been kinda bugging me trying to figure out what was coming out of her back (a batwing? ), but then I remembered Duh she has a cape! <br/> <br/>Well done, really liked your MK9 fanart series so I'm curious who you're gonna do next. Such fine details on this, awesome fanart 5/5! Love how hard and shiny her exoskeleton looks. It's been kinda bugging me trying to figure out what was coming out of her back (a batwing? ), but then I remembered Duh she has a cape! Well done, really liked your MK9 fanart series so I'm curious who you're gonna do next.